Sounds like he wants to put our team on Dragons Den! Maybe Peter Jones would put up the £30m for a 15% share in the team? Get the sense that would be akin to putting a plaster on a severed limb. What happened to that 50 mil he got from his brother? Or wasn’t that enough? And if we do….Grealish stays? If this is the case then Tony just needs to sell to someone who can fund their plans without resorting to fire sales, loans, or selling stock. Sad but true. The fact that Xia will only sell the club outright if he receives an amount close to what he paid for the club in 2016 is concerning. It doesn’t look likely at the moment that a takeover offer would be close to the £80m plus he would want. 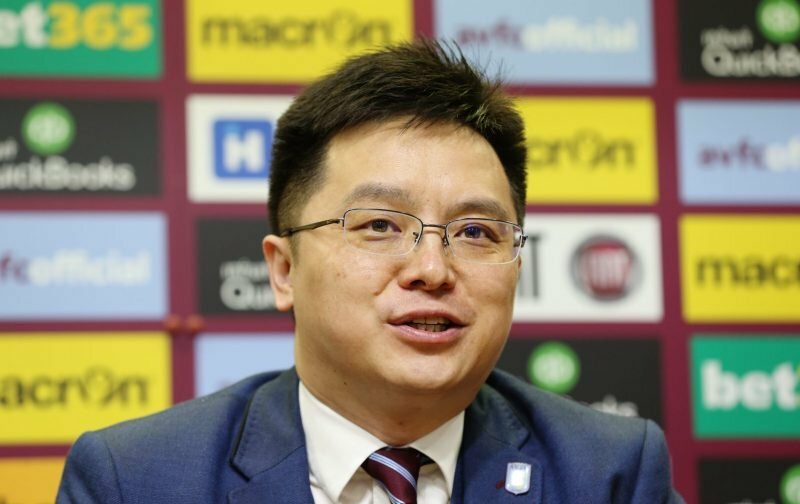 There is talk that one consortium may make their interest known before the end of the week, but it seems apparent that the owner is still trying to keep hold of the club by seeking smaller investors. That’s it for the good Dr then. No-one with sense would say that he wants to get an investor for £30m for a small share of equity, or sell. He has killed his own market. He won’t get £80m either. No-one will pay that now. The only time he has left is that in which a crucial message needs to travel 3 inches to his brain.. you’ve lost! Take what you can and run. Bye bye Doctor, just do us one favour… try and get your succession right and win where Lerner failed.